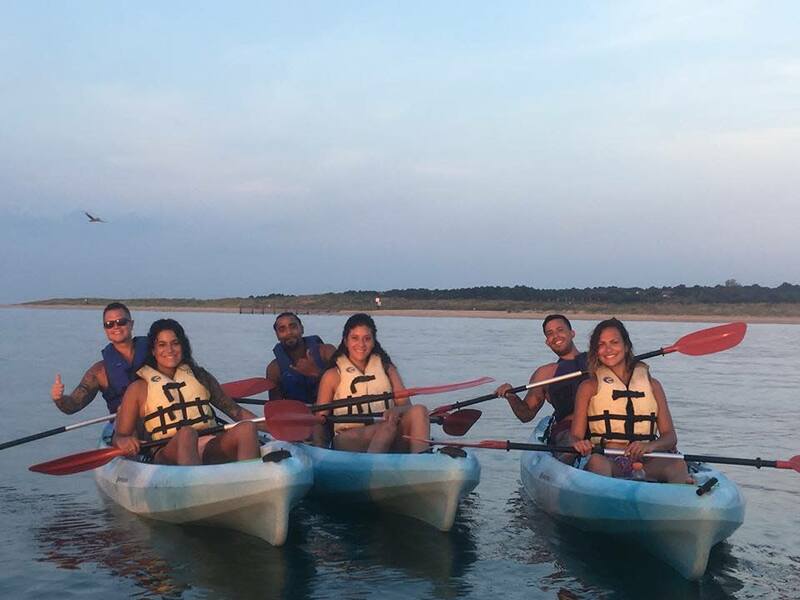 Chesapean Outdoors is Virginia’s Beach’s premier Eco-tour company. Our popular guided dolphin tour allows a unique perspective into the world of bottlenose dolphins from easy to use sit-on-top ocean kayaks. 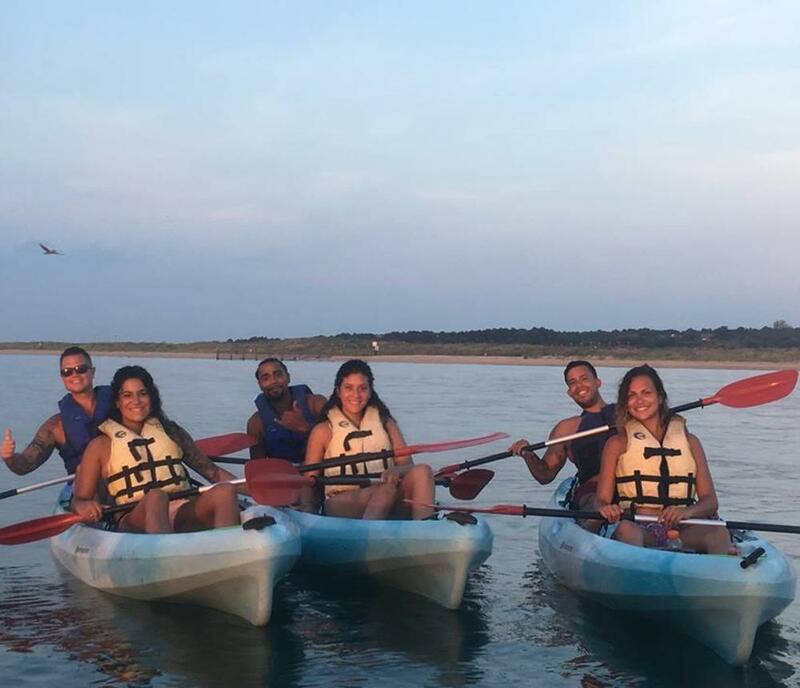 If the ocean isn’t your thing, paddle as the Indians did through calm waters of the Chesapeake Bay. How about surfing or stand-up paddleboarding with dolphins? Comprehensive beach instruction followed by the gentle waves of the Atlantic on soft, forgiving learner boards will have you riding the curl in no time. If you’re more of a land lover, let our guides take you on a relaxing bike tour of the oceanfront and historical wilderness or a hike on the same trails as the first explorers. We have adventures and activities for all ages. Come visit us in the heart of the oceanfront and check out our full range of quality sportswear and outdoor equipment.